Pro-abortion interest groups say over-regulation, under-subsidization, and a lack of training are to blame for the conditions in an abortion clinic run by accused murderer Kermit Gosnell. Abortion supporters called on lawmakers to spend taxpayer dollars on abortion, as well as to roll back laws passed in Virginia and other states that require abortion clinics to abide by the same cleanliness and safety regulations that cover other medical facilities. Jessica González-Rojas, executive Director at the National Latina Institute for Reproductive Health, said Congress should repeal the Hyde Amendment, which prevents taxpayer dollars from being spent on abortions. "Legal abortion means little to a woman who cannot pay for it," she said during a Tuesday morning conference call hosted by RH Reality Check, a pro-abortion organization. Presenters on the call also took issue with Gosnell’s "technique." While Gosnell allegedly induced labor and collapsed the skulls of live babies in their second and third trimester, other abortion providers collapse the skulls of babies in their second and third trimester before they can leave the womb, according to Tracy Weitz, director in the Advancing New Standards in Reproductive Health at the University of California, San Francisco. Abortion doctors also use potassium chloride—a cocktail sometimes used in lethal injection executions—in the procedure. "What improves safety to abortion care is increasing the availability of training," Weitz said. "It is clear that Dr. Gosnell was not operating up to the standard of care. When a procedure that involves collapsing the skull is done, it’s usually done when the fetus is still in the uterus, not when the fetus has been delivered." Gosnell stands accused of killing seven babies that survived abortions, as well as causing the death of an immigrant woman seeking a late-term abortion. Jars and jugs of body parts lined his offices. A grand jury report found that Gosnell treated white customers seeking late term abortions, while allowing untrained staffers to handle poor and minority customers. Some abortion providers on the call disputed Weitz’s conclusions about the root cause of Gosnell’s alleged ugly practices. Charlotte Taft, director of the Abortion Care Network, which represents independent abortion clinics, said lack of training had little to do with Gosnell’s allegedly gruesome practices. 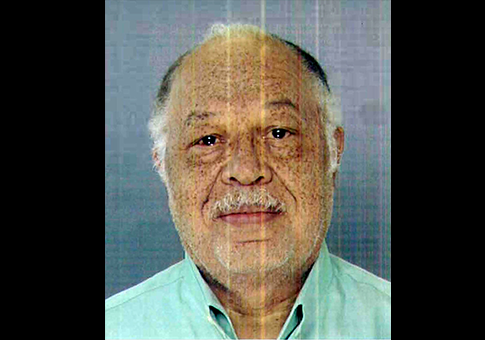 "Kermit Gosnell had plenty of access to as much training as he wanted," Taft said. "What we’re looking partly at is intention." Pro-life groups said that Gosnell's actions resulted from pressure on regulators by pro-abortion groups to not properly inspect clinics. State authorities failed to inspect his office for nearly two decades because of political pressure, according to the grand jury report. The National Abortion Federation refused to endorse Gosnell's practice after a representative saw his facilities, but nothing about the conditions was passed on to authorities who could have taken action against him. "We have simply been inundated lately with the horrors that result from the lack of oversight in abortion clinics," said Mallory Quigley, spokeswoman for the pro-life Susan B. Anthony List. "Clearly, the abortion industry cannot regulate itself yet continues to fight tooth and nail against any efforts to improve the safety of women walking into their clinics. … They cannot claim to be concerned about women’s health while at the same time being uniformly opposed to any legislation aimed at protecting women." The story received mainstream media attention after conservative activists accused the media of bias for ignoring the trial despite the high profile accusations of murder, racism, and depraved indifference to his patients. Gosnell’s trial entered its fifth week on Monday. This entry was posted in National Security and tagged Abortion, Congress, Progressive Movement. Bookmark the permalink.